Home » Accessible Applications , Advertising and Marketing , Android , Apple , Blogger , CentOS , Chat , Compiz Fusion , Data storage , Databases , Docks Manager , Mozilla Firefox , Multimedia , Music , Version Control System , Virtualization , Window Manager , Window System » Top 10 blog posts for February 2014 from Linuxlandit & The Conqueror Penguin. 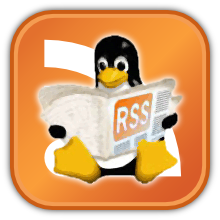 Top 10 blog posts for February 2014 from Linuxlandit & The Conqueror Penguin. 1.- Cadabra is a computer algebra system (CAS) designed specifically for the solution of problems encountered in field theory. 2.- The Basic Linear Algebra Communication Subprograms constitute a message-passing library designed for linear algebra. 3.- AutoClass solves the problem of automatic discovery of classes in data. 4.- ARIBAS is an interactive interpreter for big integer arithmetic. 5.- ADMesh is a program for processing triangulated solid meshes. 6.- SlimBoat Guide: Kill Popups with Popup Blocker and Popular Web Service Integration. 7.- SlimBoat Guide: Open Multiple Sites As Site Group and Weather Forecast and Current Condition. 8.- SlimBoat Guide: Fast Internet Download Manager and Download Youtube Video to MP4. 9.- SlimBoat Guide: Quick Search and Various Application Styles. 10.- SlimBoat Guide: Automatic Web Page Translation.